If you want to change your business’ trajectory and maximize your operation’s potential, here is a proven solution to grow profits, achieve customer satisfaction, increase store traffic and expand your menu options. 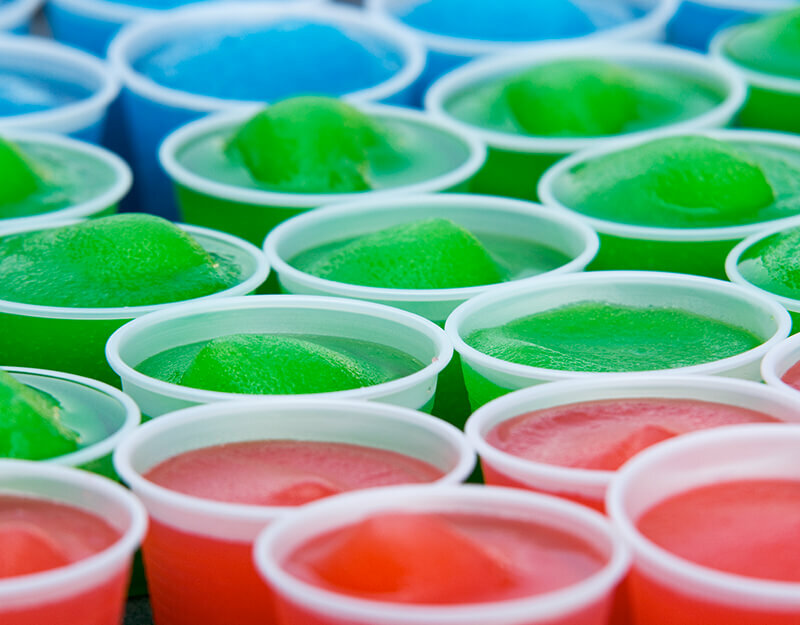 Frozen drinks continue to be hottest trend in the beverage industry since their introduction in the 1950’s. The simple setup and maintenance attract businesses operators from all industries. And the variety of flavors and unique experience that comes from sipping a refreshing frozen beverage has consumers coming back for more year after year. Setting up a frozen drink program has endless benefits. Profits: Low maintenance. High profitability. That is the simplicity that makes frozen beverage dispensers so attractive. Advanced technology keeps these machines running efficiently with minimal upkeep. A variety of frozen drink machines can even predict system errors and troubleshoot to keep machines running and profits pouring in. Operators can look forward to saving time and money on maintenance. The ingredients comprising frozen drinks are relatively inexpensive and the top reason why frozen drink programs are so successful. For example, the cost to produce one frozen carbonated beverage (FCB) is only 12% of its retail price. That is more than an 88% profit per drink! Customer Satisfaction: There is something satisfying about frozen drinks. From pouring the product to anticipating that first sip of a frozen beverage, it is definitely exhilarating! While fountain drinks are a standard option at QSR’s, convenience stores, movie theaters, etc., frozen drinks are seen as distinctive drinks that are worth the extra cost. According to Technomic’s 2016 Beverage Study, 51% percent of consumers ordered a frozen beverage and 30% of consumers said they are purchasing frozen drinks now more than they were two years ago. Consumer reports show the demand for frozen beverages is increasing as companies introduce new innovative flavors and drink styles. Store Traffic: Frozen beverages as part of your product offerings will certainly draw customers in to your location. Frozen drinks are specialty items that many consumers seek out at restaurants and stores, so place your frozen beverage equipment in a frozen drink station that is easily accessible to customers. 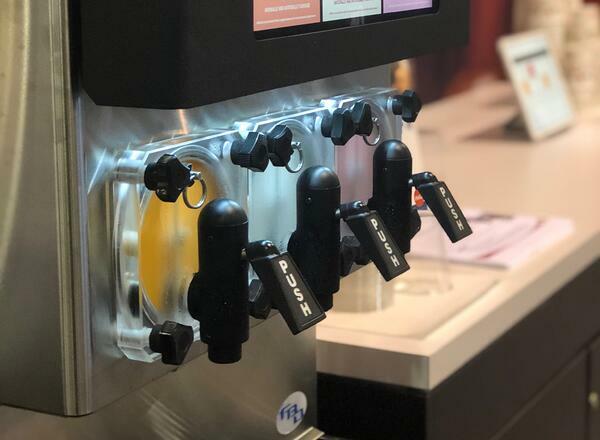 Select frozen beverage machines come equipped with digitally captivating screens on the front of the unit, allowing operators to feature compelling messages and imagery that can attract the customer’s attention as soon as they walk through the door. This merchandising feature is key as almost 50% of all frozen beverage purchases are impulse buys. Menu Expansion: Having signature menu items is important for any restaurant or establishment, but if you are interested in growing your profit margins even more, consider adding frozen specialty drinks. The versatility of frozen beverages allows operators to mix and match flavors based on the season or new flavor options. You can even add alcohol to some mixes. How about a frozen margarita? 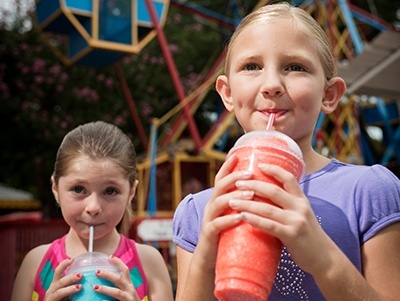 Offering frozen drink option allows operators to earn extra revenue. Operators can enjoy large profits with very little expenses through the right frozen drink program. 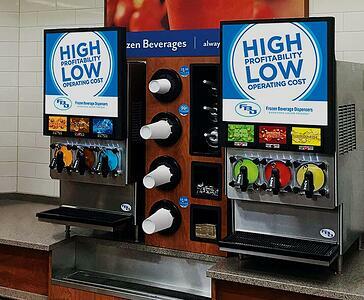 The frozen beverage industry is booming in both large chain restaurants and small businesses. Equipment manufacturers have created dispensers that are large enough to serve 322 (16oz) cups in an hour and small enough to fit on a counter that is 2 feet wide. Click here to explore the best options on the market. These 4 Key Benefits will have you pouring in profits like never before.